This simple pendant from the house of Urja Utsav, is beautiful & elegant. 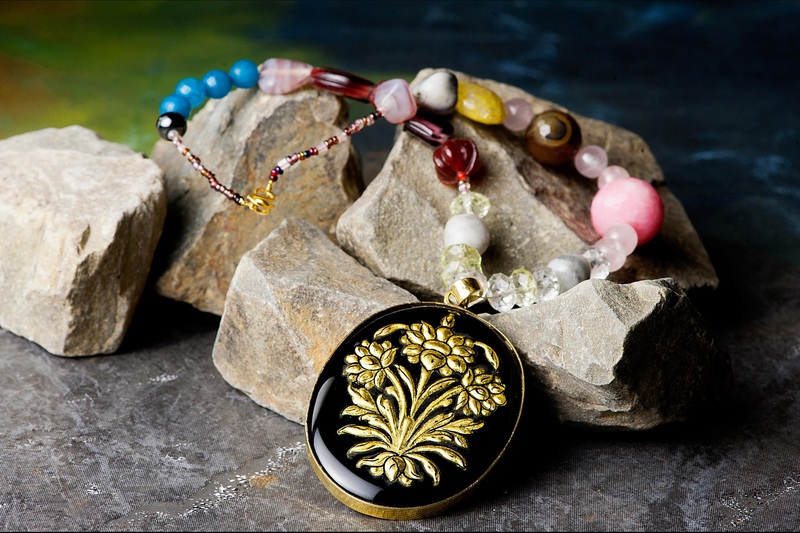 The intricately hand crafted gold motif onto a black base, teamed up with colorful beads will surely turn a head or two. For orders & inquiries about prices, please call us at +91-9413335533, email at urjautsav@gmail.com or simply drop us a message.